Supremely cheesy, childish, predictable, cliche movie. I think if I were ten I might have enjoyed this, but at this age, not even childhood nostalgia can take this movie out of the gutter of un-enjoyableness. It literally made me cringe on multiple occasions out of embarrassment on its behalf. It's like watching a friend do something terribly stupid and unnecessary. Painful. I might not have been the biggest muppet fan growing up, but honestly that has very little bearing on my overall rating. My friends are huge fans, and even they thought it was awful, much worse than the previous two movies (Muppets in Space and Muppets Treasure Island). For one, I hate Walter. He's unnecessary, has absolutely no TV-worthy charisma or talent (whistling, really? ), and was whiny and self-hating for most of the movie. I get that he has issues, since he was somehow born with a flesh-and-blood brother (who loves him a bit exaggeratedly much). But that doesn't make watching him feel sorry for himself and left out any funner. Add to that the fact that he basically has no personality and is solely there as a vehicle for the audience. 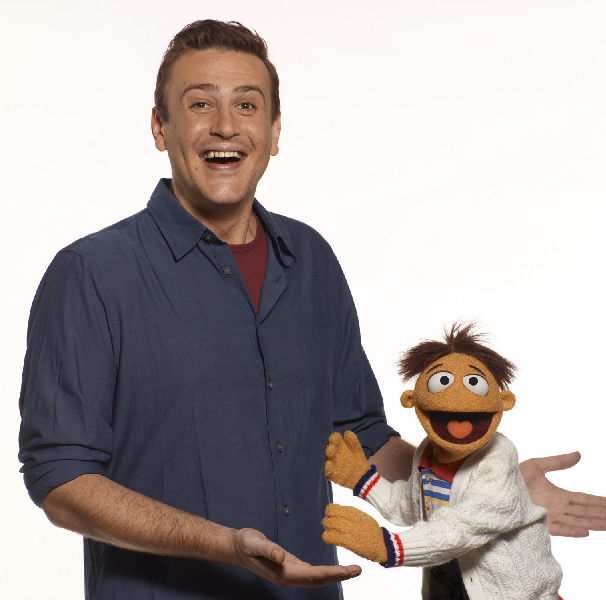 He has none of the quirks, humor, or originality of the other muppets. This was an obvious attempt to create an average-joe underdog that the audience can insert themselves into and feel good once he achieves his goals. 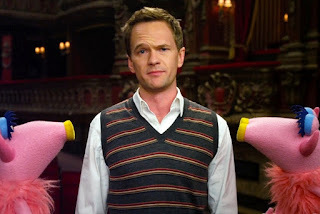 I just personally think the movie would've been a lot better without him standing off to the side on every scene making exclamated statements, looking sad, and bringing essentially no value to the muppet crew. He better not come back in the future. 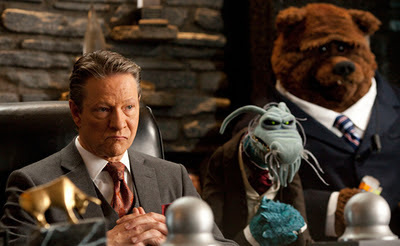 Not that I intend to watch any more muppet movies. Another was the singing. I should've expected it, but the first song caught me by surprise and each time a new song emerged I was left squirming in discomfort. The lyrics are a mix of the writers trying to be funny and cute, but also child appropriate, and hence resulting in cheesy, semi-funny but not really songs. 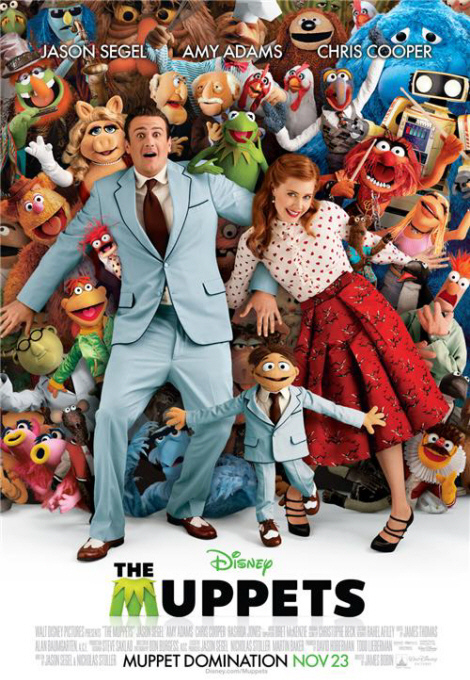 The dancing is awful, and both Jason Segel and Amy Adams are washed out, useless plot movers. Amy Adams is completely wasted, while Jason just has a terrible role. I mean, he spends much of the time obsessed with his cloth brother and ignoring his girlfriend, which was sweet in a way but also weird. Some of the muppets are adorable, but they get so little screentime that no one gets to properly enjoy them. It's like a parade of cameos of both the real and cloth sort, with Jack Black in a rather insulting role. But he was also one of the few highlights, as I thought his scenes were a bit funnier than the average. And of course the plot proceeds exactly as you can predict, from the evil guy doling out his evil plan to the return of Miss Piggy to the final almost-but-not-quite reaching of the goal and ultimate victory. I could see each scene playing out a mile in advance. There were a couple laughs gained from this, but far too few to be worth the price and the pain of the more awful scenes. Do not waste your money and time on this. In fact, I think even your kids deserve something funnier and less brain-destroying than the stuff shown here. The only movie I can think of that was worse than this is Alvin and the Chipmunks. But this is cutting it close. I really don't recall childhood movies being so stupid when I was young - not even when I watch them now (Toy Story, Lion King, even the previous Muppet movies). Kids of this generation are going to grow up brain dead on this sort of crap entertainment. I recommend just renting a good movie and staying at home versus going for this junk.